A 31-year-old woman was shot and killed at a San Bernardino County bar early Sunday morning and police and her family are asking for the public's help in tracking down her killer. Krystal Ramirez -- a mother of one -- was enjoying a rare night out Saturday evening at Linkos bar in Colton, celebrating a friend's birthday. Her sister, Vanessa Negrete says Ramirez wasn't a target. 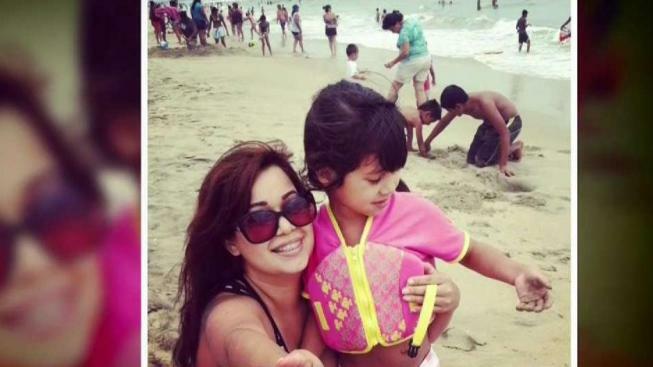 She was "at the wrong place, at the wrong time," Negrete said. Ramirez was shot three times just before 2 a.m. Sunday. She was taken to a hospital where she died just three minutes later, police said. She leaves behind a 10-year-old daughter named Adelina, who has nonverbal autism. Adelina is now staying with her grandparents. Ramirez was also a special education aide at the Colton Unified School District -- a career path she took to learn more about her daughter's needs. "My granddaughter doesn't deserve this," said Marie Olvera, the victim's mother. "Just whoever you are turn yourself in." The Colton Police Department has little to go on, but they're currently sifting through surveillance footage. Anyone with information is encouraged to contact the Colton Police Department's Detective Bureau at 909-370-5000.